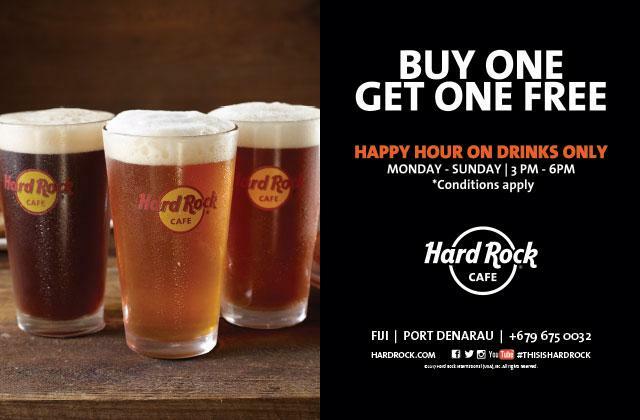 Let’s get together for Happy Hour at the Hard Rock Patio from 3pm – 6pm every day. BUY ONE & GET ONE FREE for all alcoholic beverages. The best Happy hour deal in town! So come on down & rock with us. TRAVLR Fiji & Pacific Islands is a part of the TRAVLR GROUP.